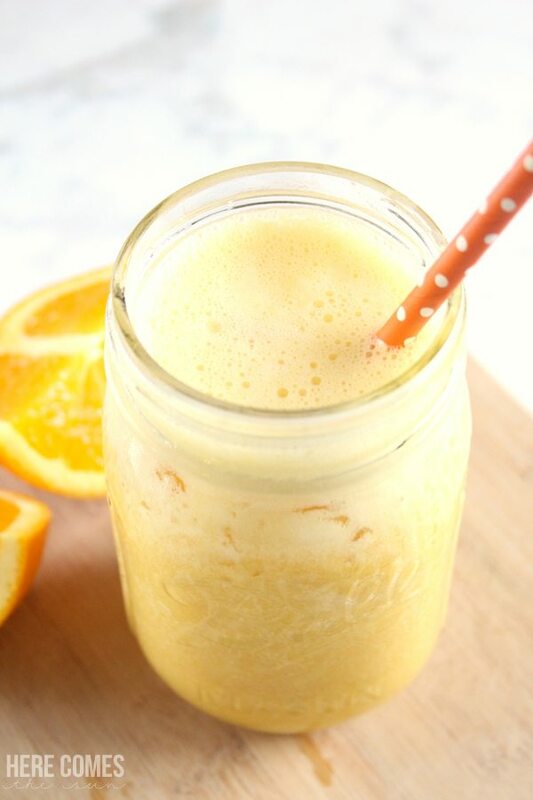 This easy orange julius recipe is delicious and takes only a few minutes to make. I remember back in the day my mom would take me to the mall. Dark brown tile floors; cold, hard seating areas in the middle of the mall; and a really awful smell. It was classic 1970s. Not sure what was up with that smell though. We would get new shoes at Stride Rite and I would drop my old shoes into the barrel on the way out, a Dum Dum root beer lollipop in my hand, given to me by the salesperson. And then we would walk. We would walk through that dark brown mall. And down at the end of the dreary mall, there was that bright Orange Julius sign. I always loved how the orange popped against the blah brown of the mall. I never asked my mom to stop but maybe I should have. The first time I actually had an Orange Julius was just a few months ago at (you guessed it) a mall. I wondered why I had waited so long to taste something so delicious. It was instant love. And I knew I had to figure out how to make the orange julius recipe for myself. I love the refreshing mix of the orange and the vanilla flavors. An orange julius is THE perfect drink for all your summer cookouts and get-togethers. Did you know that this recipe takes only about 5 minutes to make? 10 minutes if you’re like me and you forget to place the blades into the blender before the ingredients and you get an orange julius waterfall cascading over your counter and onto the floor. Don’t be like me! Make sure your appliances are put together properly. Did you see that little extra ingredient in there? Orange essential oil. It really gives it a flavor boost. But did you know that orange essential oil also serves as a detoxifier, boosts immunity and is good for maintaining healthy, smooth skin? And everyone wants healthy smooth skin in the summer, right? I’m a big fan of essential oils and use them for almost everything around my home from cooking to cleaning to skin care. 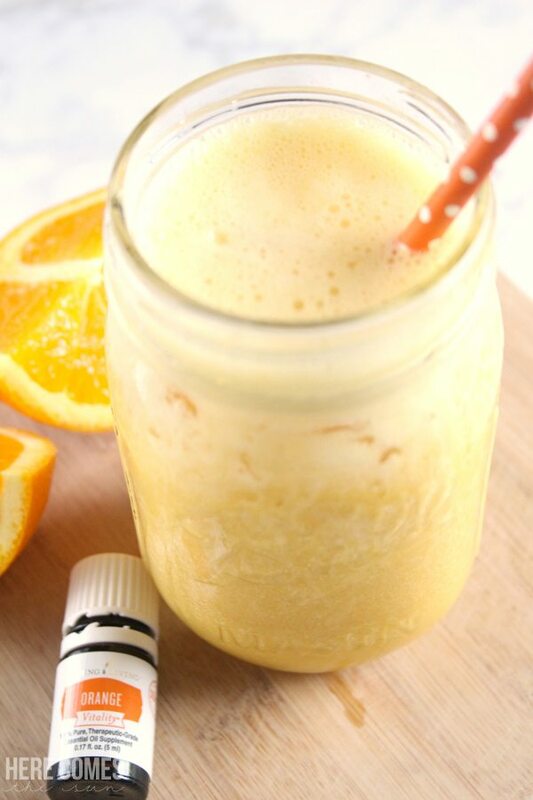 This orange julius recipe is definitely being added to my summer drink rotation. My kids get super excited when I make recipes like this and my copycat frosted lemonade. I become the mom of the year. 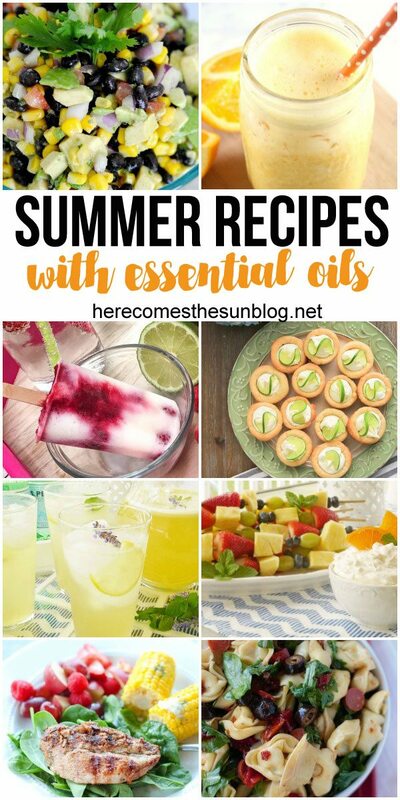 My friends and I have gotten together to bring you some amazing recipes containing essential oils for your summer cookouts. Make sure to check out all the great ideas below. 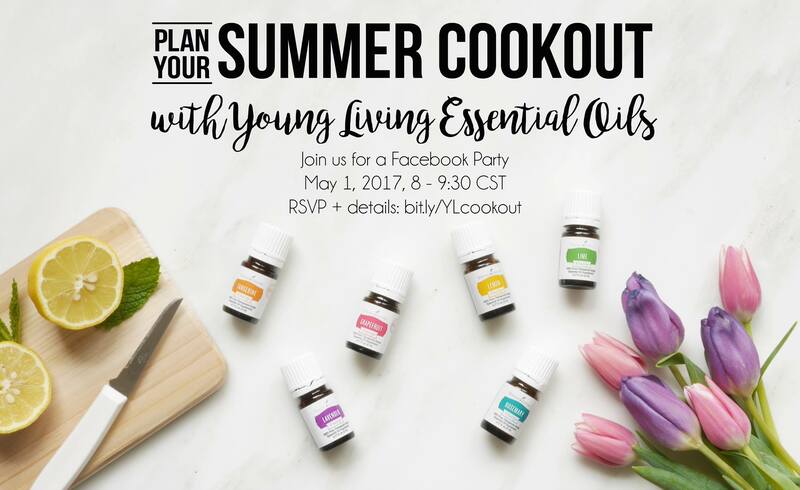 And make sure you have essential oils on hand for your next cookout. You can learn more about essential oils here. We are having a party over on FB tonight where we will share these recipes and answer all your question. I hope you will join us! This looks delicious, can’t wait to try it out!